After intensely debating between the iPhone 6 and 6 Plus, you’ve finally made your decision and are now among the masses who have contributed to the record-breaking Apple preorder. You’ll soon bring home your long-awaited technological innovation, but you’ll likely need one more accessory to make your prized possession complete: a case. NerdWallet Shopping and DealFinder have compared six cases to guide you in finding the right fit. Thought the decision between the two new phones was tough? Choosing a case might be even more complicated. Whether you’re looking to make a fashion statement or you simply want something durable to protect your device, we’ve got you – and your new iPhone – covered. To help guarantee a case for your phone as soon as possible, turn to the Apple Store’s Leather Case for iPhone 6 and iPhone 6 Plus. These leather cases have a low profile and are smooth to the touch. Models are available for each in a variety of colors. If you’re looking to protect your phone, consider the CandyShell Grip Case for iPhone 6 and iPhone 6 Plus. The case is composed of two layers for maximum shock absorption and features raised rubber ridges on the back for a solid grip and easy handling. Models are available for each in a variety of colors. You can prepare your phone for an adventure with the OtterBox Defender Series for iPhone 6 and iPhone 6 Plus. This ultra-durable case is composed of three protective layers and includes a built-in screen protector. Models are available in a variety of colors and designs. Plus, you can customize your case’s color combination. 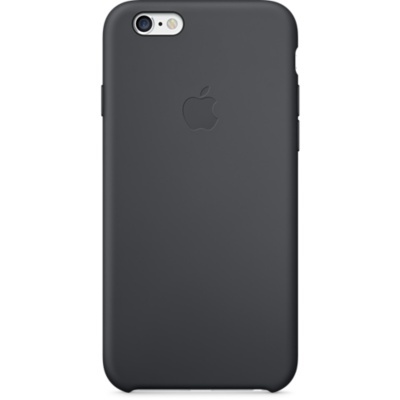 For an attractive and useful case, consider the Spigen Slim Armor CS for iPhone 6 and iPhone 6 Plus. The sleek and slim phone case includes a sliding back compartment that can store two credit cards. Models are available for each in four colors. To add a personal touch to your iPhone 6, consider this customized Simply Personal Slim Case from Shutterfly. The online photo website allows you to display pictures of your choice on the back of your phone. Note that the case currently only fits the iPhone 6 model and won’t arrive for a few weeks. You can make your phone sparkle with the CaseMate Glam Case for iPhone 6 and iPhone 6 Plus. Composed of two layers for added protection, these cases are accented by glitter. The iPhone 6 case is available in two colors, while the iPhone 6 Plus case is available in only one. Apple leather case photo via Apple.